FREE RIDER 22 AVABAG, we have developed an extremely light freerider backpack that provides the highest level of protection and functionality. The redevelopment of the SPS FLEX back protector is the main focus, which combines the back system and protector into a flexible unit. Built from eight pads that remain comfortably flexible even in the cold, the protector adapts to the body and absorbs impact through the immediate hardening of the foam. Meanwhile, the broad hip belt and the avalanche backpack’s body-integrating silhouette ensure a secure fit on the back. We have completely redesigned the Freeride backpack’s inner and airbag to aid packing. We have been able to produce 22 liters of fully-utilizable volume around the AVABAG unit. Outside, the tried and tested freeride features come into action, whereby we have significantly optimized the helmet and snowboard holders. In addition, an AVABAG UNIT can be easily and quickly installed into our FREERIDER 20 S AVABAG. The system weighs only 690 grams*. 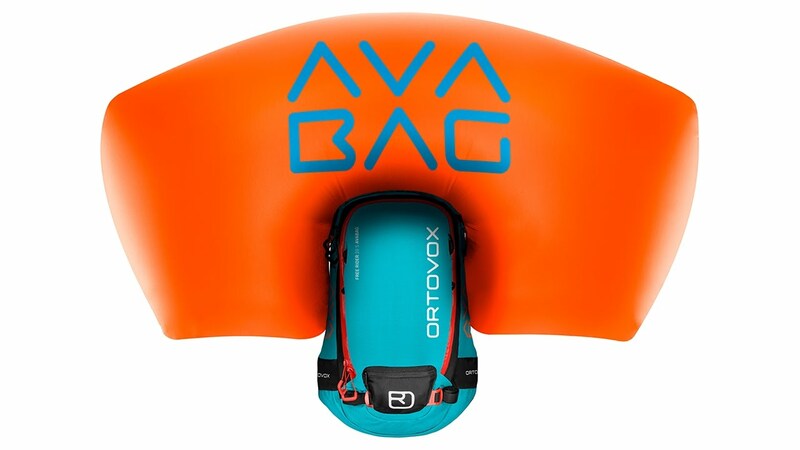 With the AVABAG avalanche airbag system, activation can be practiced again and again without a cartridge attached. After all, in the case of an emergency, every move has to be just right! The FREE RIDER 22 AVABAG comes without an AVABAG unit. Wide and elasticated, for an optimal body-hugging fit, even when in motion.